Thank you for visiting Tenacious Creations. This and my life have changed a lot since I started it in 2002. From being a personal blog to a photoshop tutorial site and everything in between. I have always liked the name Tenacious Creations and decided this would be the perfect place to put my next adventure. I have never been much of a woodworker although I do enjoy designing and building things. Having the gift of a son (he is pictured above) who enjoys working on projects with me has made it even more fun. 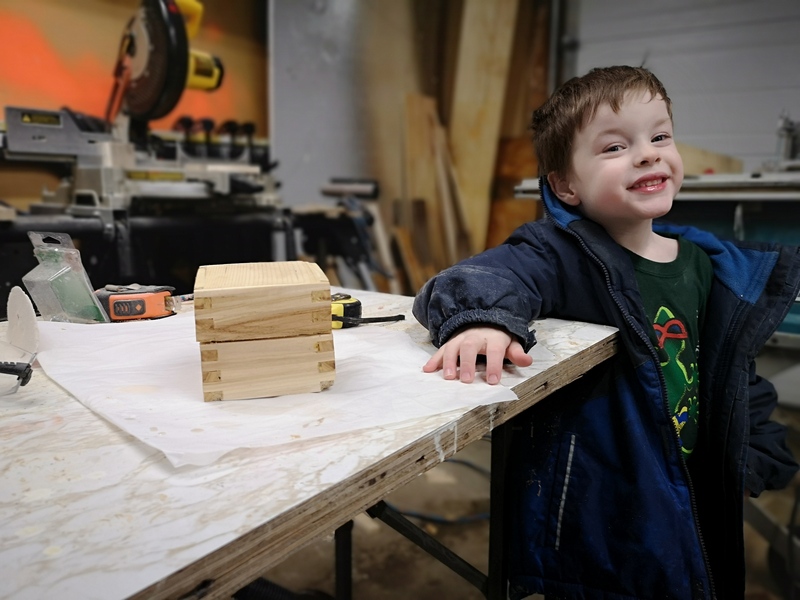 Woodworking projects give me the flexibility to give tasks to him that he can do. Letting him be more invested in our projects allows him to share in the pride of completing them. I am learning as I go with these projects and I thought it a good idea to document them. Hopefully, by sharing them it will inspire others to attempt to create and build things. I have learned much from the community and want to give back. Having said that I am always open to suggestions on how to do things better.